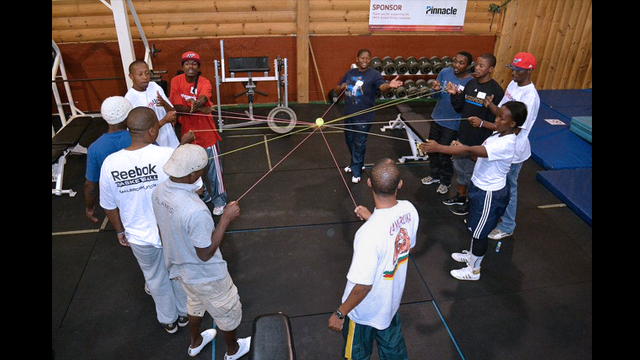 The coaches participate in a sports psychology and team-building workshop in Nashville, Tennessee. 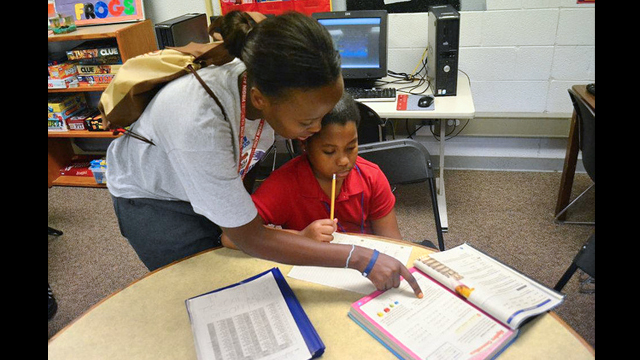 The South African coaches visit the Boys & Girls Club in Nashville, Tennessee. 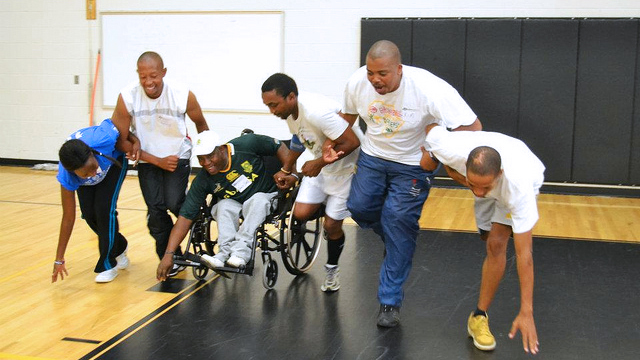 South African coaches participate in a skills and drills session with DC Coach, Stan Brudish. 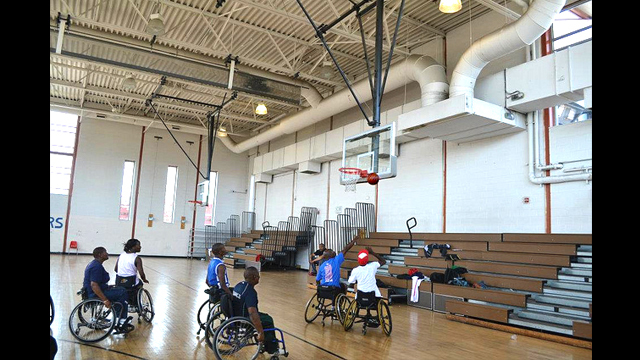 South African basketball players play wheelchair basketball with Mobility International USA. 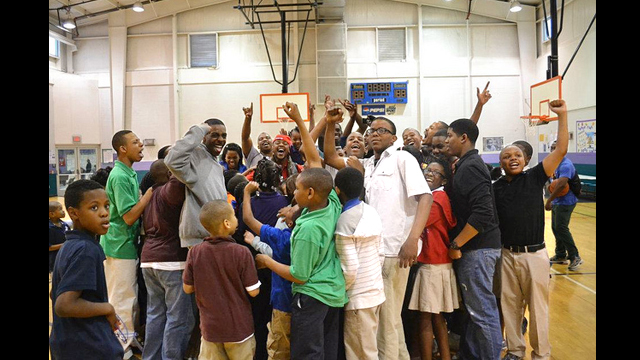 The South African coaches celebrate basketball with young people in Nashville, Tennessee. 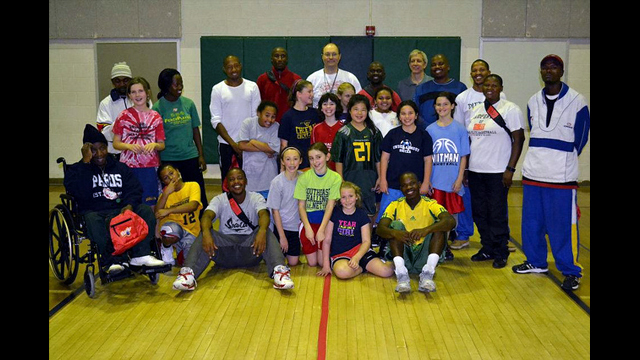 South African coaches pose after training and a scrimmage with the Classics, a DC-area girls team. 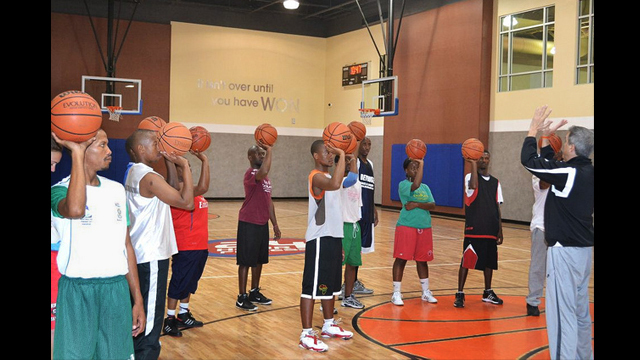 Coaches huddle after an intensive basketball clinic in Washington, D.C. 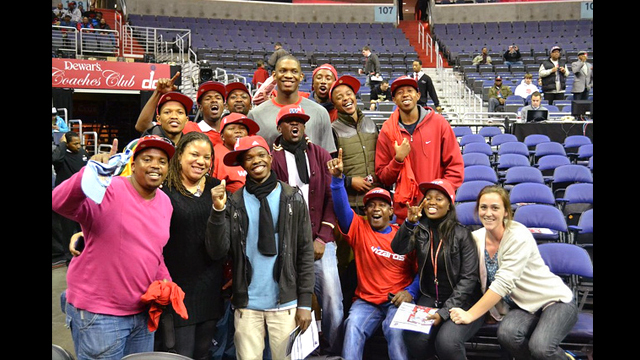 The delegation of South African sports visitors spend a day touring Washington, D.C.
For eleven days, the U.S. Department of State carried out a dynamic basketball Sports Visitor program with South African basketball coaches. 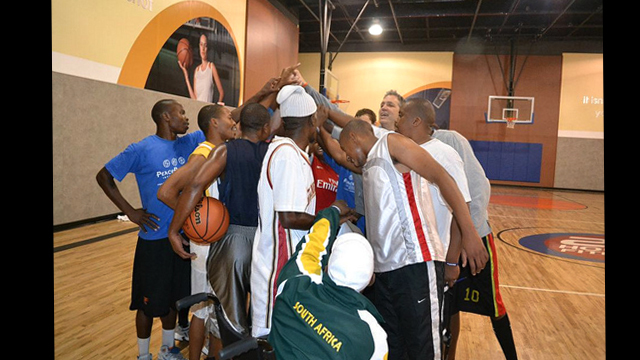 For the first portion, the delegation of 12 South African coaches met with U.S. professionals in the sporting profession, held clinics with young American athletes at local schools, participated in an NBA clinic, and engaged in activities focused on team-building and injury prevention in the Washington, D.C., area. 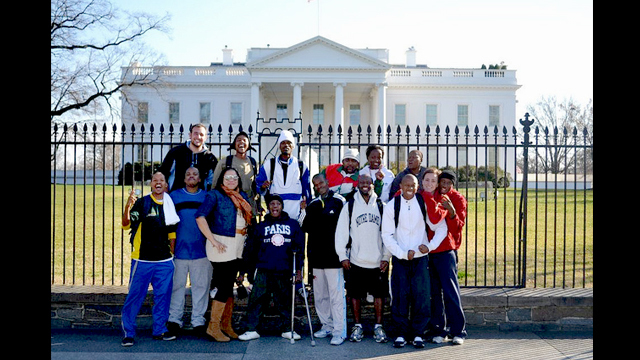 For the final days of the program, the group visited Nashville, Tennessee, to watch regional basketball games and participate in Special Olympics sessions.